This is a real world use case to illustrate the gap between between idea and the execution in reality. Executed by a creative (who probably had different ideas to begin with, but) who did it anyway in the interest of earning dollars. That is the classic 3-step process in the business world. 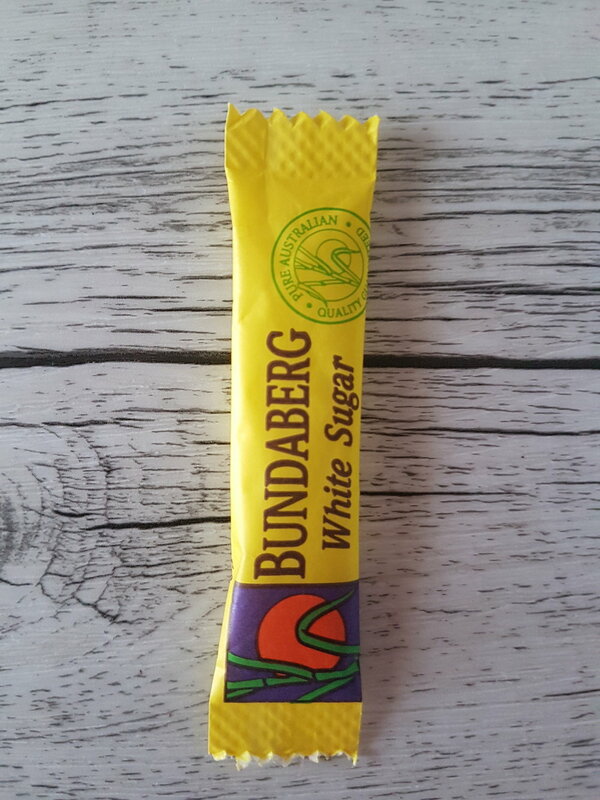 And as far as sugar sachets go, probably ok, don’t you think? And here is the raw sugar version. All part of the same brand architecture. A common colour palette, done consistency, to a standard. Just like corporates and consultants like it. 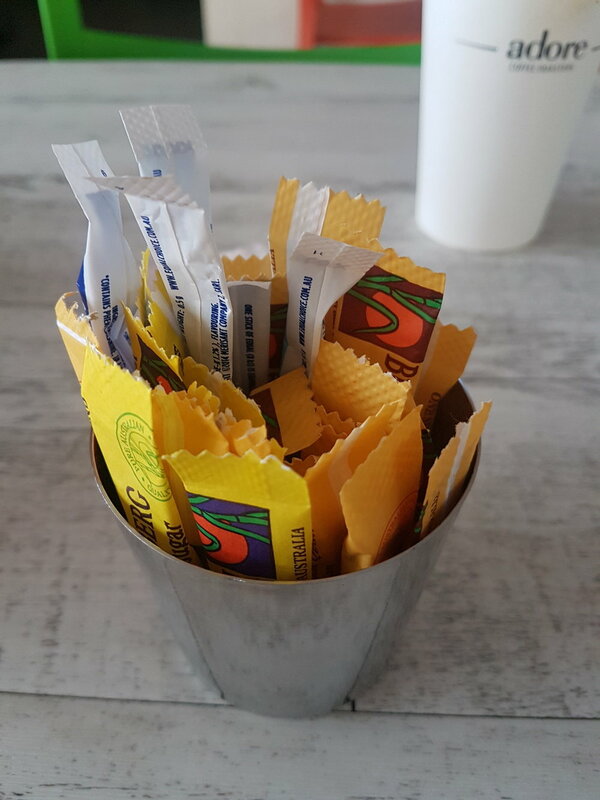 Put yourself in the shoes of the customer who has to select the sugar from the container? Or even worse. Some poor schmuck who works in the coffee shop and who has to re-fill the containers with a representative mix of the different sugars. This is the difference between the ‘service industry’ types and the those with real jobs. This is the difference between consultants and practitioners. Apr 15 How does Nike succeed to always jump the curve? Semiotics and Culture.